Application：CJX2 series AC contactors are suitable for frequency 50/60Hz,rated insulation voltage up to 10000V, rated operation current 9~330A under AC-3 duty.lt is mainly used for making/breaking electric circuits ata long distance & For frequent starting/stopping & controlling AC Motors. lt is used in combiation with thermal relay to compose a magnetic motor starter, so, The products accords with such standards as ICE60947-4-1 & GB14048.4. 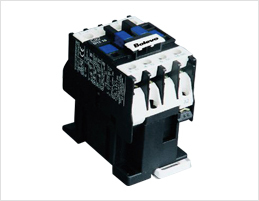 CJX2 series AC contactors are suitable for frequency 50/60Hz,rated insulation voltage up to 10000V, rated operation current 9~330A under AC-3 duty.lt is mainly used for making/breaking electric circuits ata long distance & For frequent starting/stopping & controlling AC Motors. lt is used in combiation with thermal relay to compose a magnetic motor starter, so, The products accords with such standards as ICE60947-4-1 & GB14048.4. Endurance is shown in Table 3. Technical date of the auxiliary contacts see table 4.